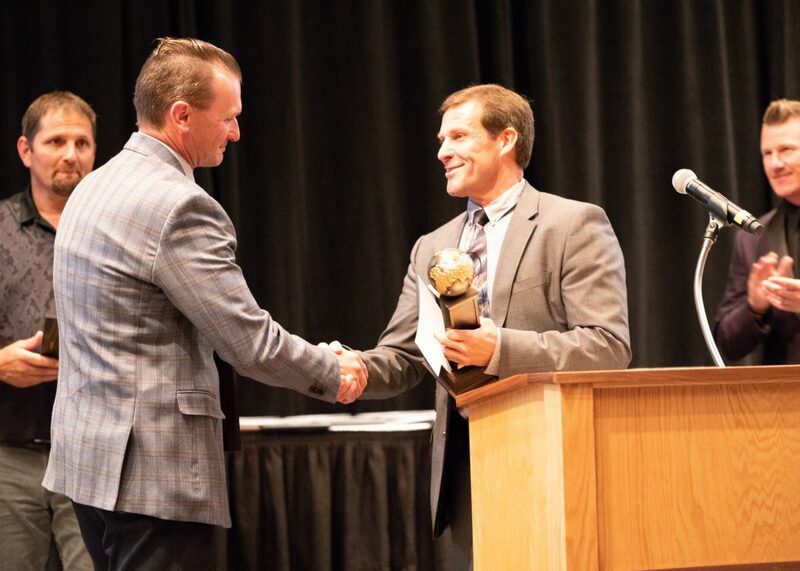 ST. GEORGE — Dozens of Region 9 high school athletes, coaches and teachers were honored at the Atlas Awards May 5 at the Dixie Center St. George. Joe Olivas, CEO of Atlas Awards, said approximately 700 people attended the event, now in its second year, including many of the award recipients and their families. 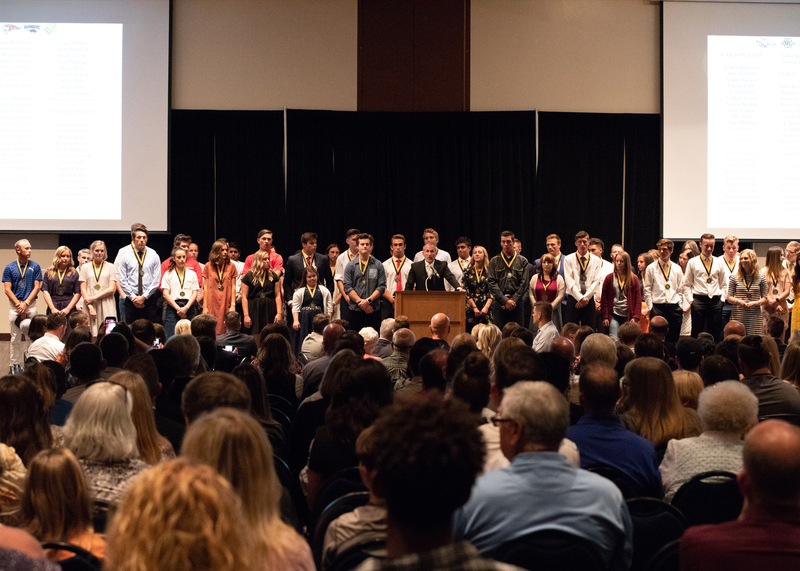 “We are so very pleased to be able to recognize so many wonderful young men and women across our region who are committed to excellence in sports as well as in the classroom,” Olivas said in his welcome statement printed in the event’s official program. Featured speakers at the event included sponsor Stephen Wade and Dixie State University student Brittney Moore, a former standout soccer player at Desert Hills High. Devin Dixon, who served as the master of ceremonies, joined with Olivas in presenting the various awards. 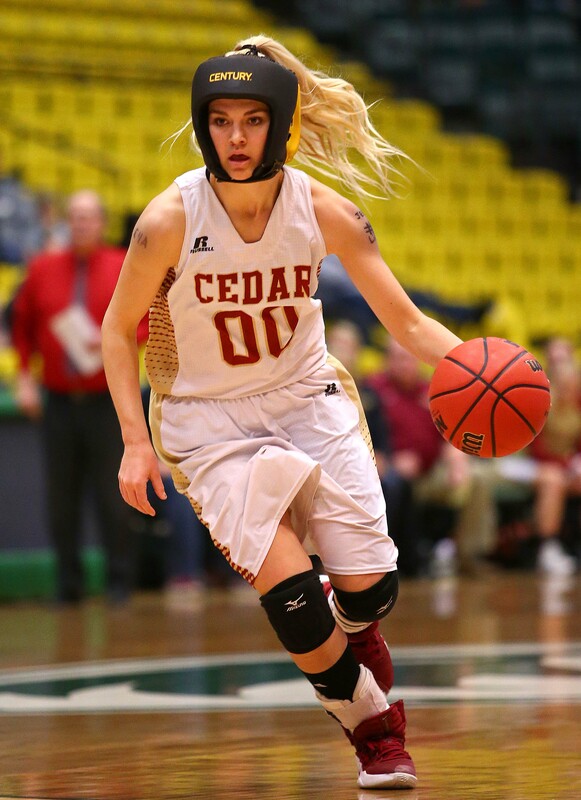 Dream Weaver of Cedar High and Hobbs Nyberg of Dixie were named Region 9’s Female and Male Athlete of the Year, respectively. Both are seniors who excelled in multiple sports at their respective schools. Each of the seven Region 9 high schools also had two Athlete of the Year awards recipients at the school level. 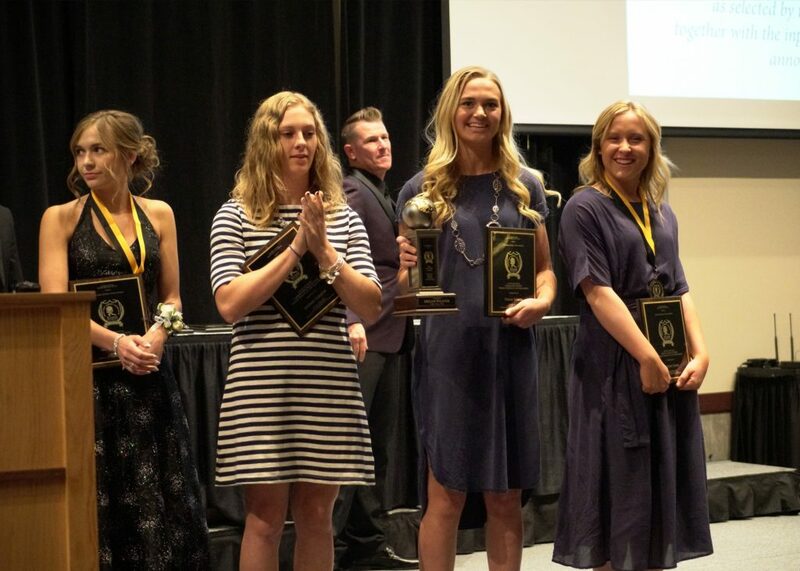 The Female Athlete of the Year award winners were Jordan Nielson of Canyon View, Dream Weaver of Cedar, Morgan Behymer of Desert Hills, Ella Burrows of Dixie, Kylee Stephens of Hurricane, Saraven Allen of Pine View, and Natalie Gunn of Snow Canyon. 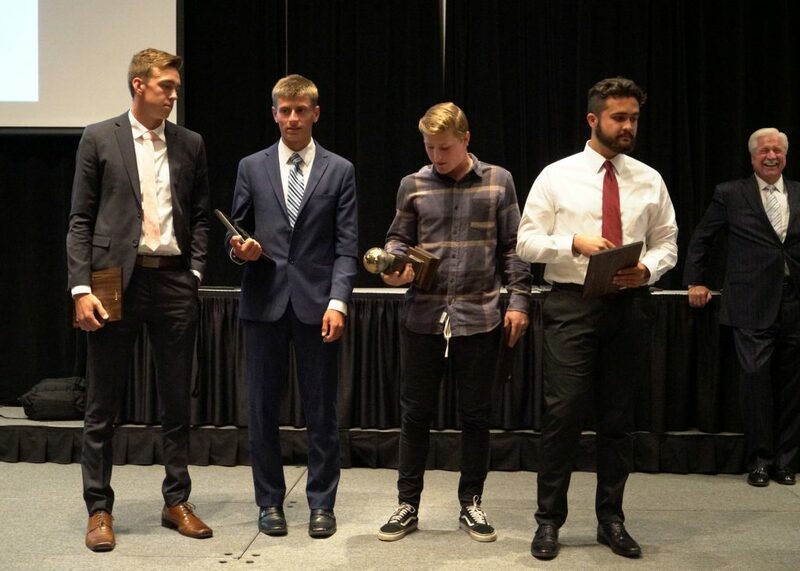 The recipients of the Male Athlete of the Year awards for each school were Tayler Haley of Canyon View, Trenton Maurer of Cedar, Penei Sewell of Desert Hills, Hobbs Nyberg of Dixie, Jackson Last of Hurricane, Ryley Duckworth of Pine View and Vaughn Anderson of Snow Canyon. In addition, Brianna Barrow of Pine View was named the winner of the Leadership and Community Impact Award. 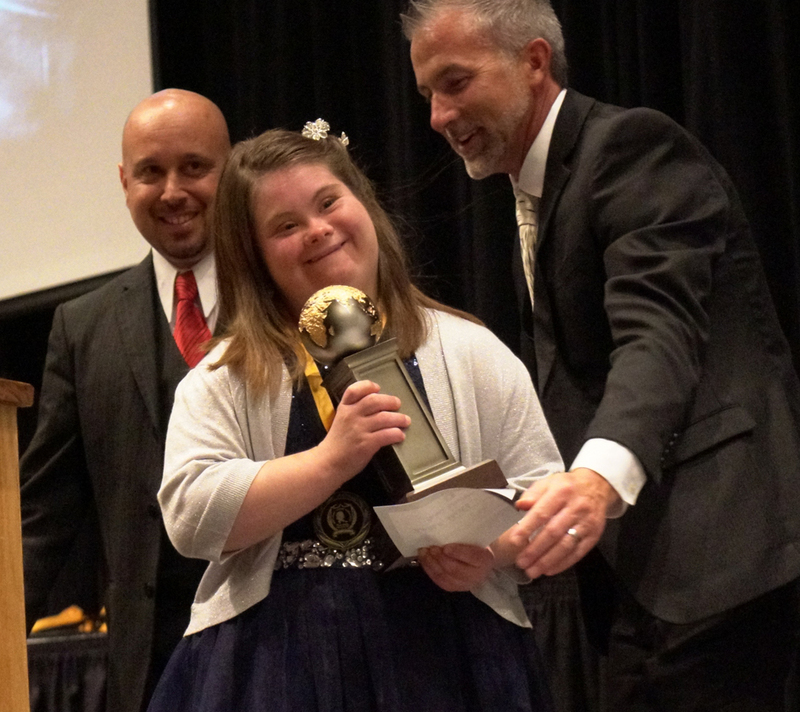 The Britton Shipp Inspiration Award went to swimmer Amber Graves of Snow Canyon. In addition, sprinter Keivontae “Tae” Washington of Snow Canyon received the Record Breaker of the Year award. Quarterback Jacob Barben of Dixie was named Comeback Player of the Year. 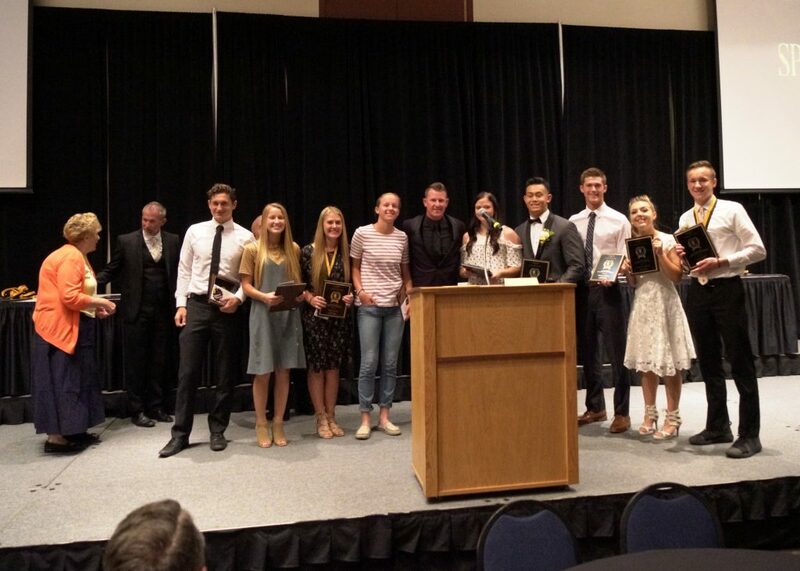 The following pairs of athletes (a boy and a girl from each school) received Sportsmanship of the Year awards: Toby Potter and Kaitlin Marrott of Canyon View; Bridger Bunnel and Britney Simcox of Cedar; Trey Allred and K’Jhana Plant of Desert Hills; Jacob Barben and Ellen Stucki of Dixie; Robert Johnson and Hailey Homer of Hurricane; Christian Reis and Claire Newby of Pine View; and Pyper Schmutz and Kira Boettcher of Snow Canyon. Dixie’s basketball team also received the Play of the Year award for “The Put-Back” play by Payton Wilgar to give the Flyers a 54-52 home win over Desert Hills on Jan. 19. 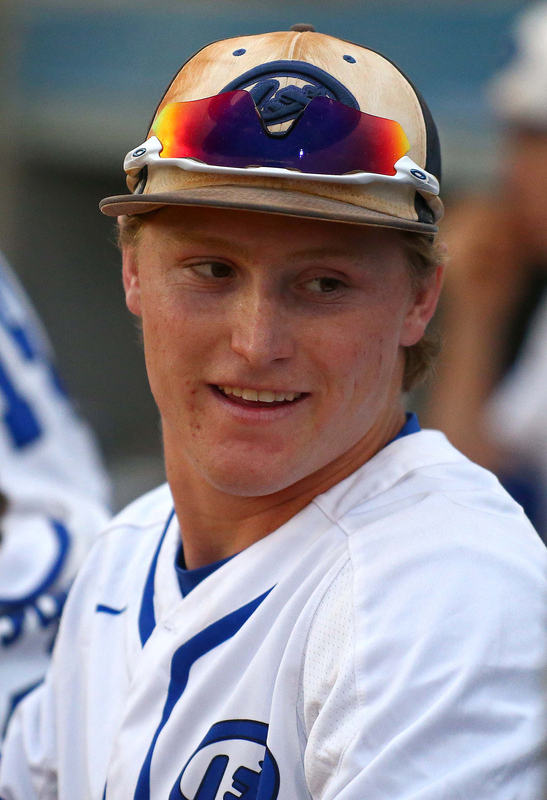 Dixie High baseball coach Danny Ipson was named as the Region 9 Coach of the Year. Receiving school-level Coach of the Year awards were Dallas Lowry of Canyon View, Corry Nielsen of Cedar, Dani Caldwell of Desert Hills, Danny Ipson of Dixie, Shelly Thomas-Kidd of Hurricane, David Holt of Pine View, and Reed Secrist of Snow Canyon. Canyon View business and marketing teacher Rob Potter was named the region’s Teacher of the Year. Receiving school-level Teacher of the Year honors were Rob Potter of Canyon View, Jef Corry of Cedar, Wendy Bliss of Desert Hills, David Gust of Dixie, Nathan Johnson of Hurricane, Paula Haws of Pine View and Shelbee Hunt of Snow Canyon. The Team of the Year award went to the Desert Hills boys swim team, coached by Dani Caldwell, which won the 4A state championship. Kira Boettcher of Snow Canyon and Jaron Cordova of Hurricane received the Pursuit of Excellence Awards. They were chosen from a group of nominees that included one female and one male athlete from each school. Receiving Acceleration Training Scholarship awards from Intermountain St. George were the following: Addison Newman and Paul Jarvis of Canyon View; Britain Simcox and Mosiah Worth of Cedar, Drew Morby and Ryan Warner of Desert Hills; Abby Larkin and Jordan Mathews of Dixie; Kailey Yardley, Hailey Homer and Jacob White of Hurricane; Amberly Mikkelson and Tosh Wright of Pine View; and Jaylee Bradlee and Jayden McKee of Snow Canyon. Each school also had a dozen different athletes featured in the pages of HS Sports Insider magazine over the past year.